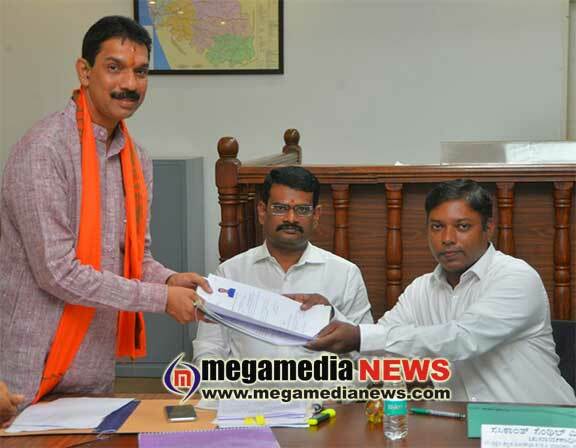 Mangaluru : The two-time Member of Parliament Nalin Kumar Kateel, filed his nomination as the BJP candidate from Dakshina Kannada Lok Sabha Constituency on Monday. He is seeking the re-election from the constituency as the BJP candidate for the third time. Mr. Kateel will take on Mithun Rai of the Congress. Mr. Rai who is the president of Dakshina Kannada unit of the Youth Congress is the new face of the Congress against the BJP. The Congress is backed by the Janata Dal (Secular) and the Communist Party of India (Marxists) in the constituency. Addressing the BJP workers at the party’s election office ahead of filing the nomination Mr. Kateel claimed that there is not “Modi wave” but “Modi tsunami” in the constituency. He said that during his first tenure between 2009 and 2014 when the United Progressive Alliance (UPA) government was in power, the Union government had released ₹3,500 crores for development projects in the constituency. In the second tenure from 2014 to 2019 the Union government led by the National Democratic Alliance Government (NDA) had released ₹16,520 crore to the constituency for the projects. 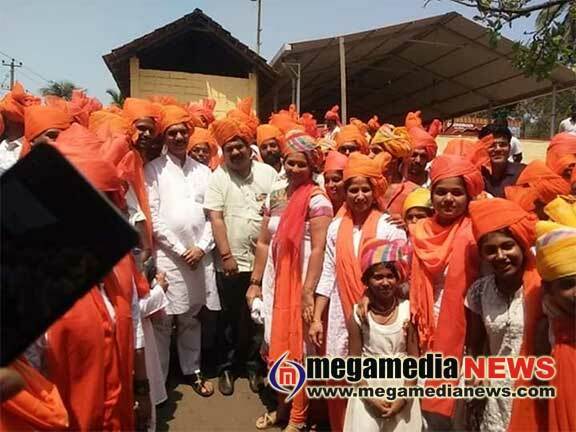 V. Sunil Kumar, the party’s election in-charge for Dakshina Kannada and who is also MLA of Karkala Assembly segment in Udupi district, said that the BJP will fight the Lok Sabha election on the planks of development and Hindutva. Referring to what he said some social media posts Mr. Kumar said that a Congress candidate has reportedly said that he (the candidate) would ban the Sangh Pariwar affiliates, including the Bajrang Dal, if he was elected to power, Mr. Kumar said that the Bajrang Dal units would be formed in every village level after the elections. The Congress itself could not ban the affiliates when in power, he said.